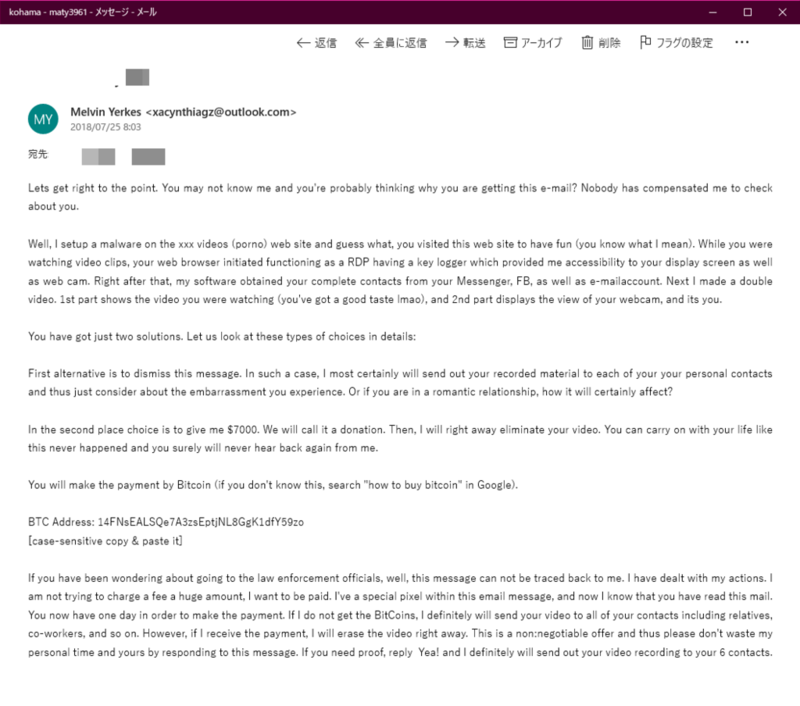 I often receive some blackmail or scam lately. There is no specific website infomation. Can I ask you when and where I visited an adult web page actually? You cannot answer the question, right? I hope u will not care about my english language grammar, considering that im from Philippines. I infected your gadget with a virus and now have all your personal files from your computer system. It previously was mounted on an adult web page and then you've chosen the online video, clicked on it, my application quickly got into your system. Afterward, your camera recorded you going manual, on top of that i caught a footage that you've looked at. At this moment you will have 28 hr s. to make a decision The moment i will get the deal i am going to wipe out this footage and every thing thoroughly. Or else, you should remember that this video would be forwarded to your friends. I don't think you know my friends. Network Failure in Japan was because of Google?